The kaizo hack with little remorse and unfair challenges. Disclaimer: This hack is not responsible for any rage you or anyone experiences, save states are highly encouraged due to it's kaizo difficulty. If this causes pain (physically or mentally), this is on you for attempting this evil romhack. 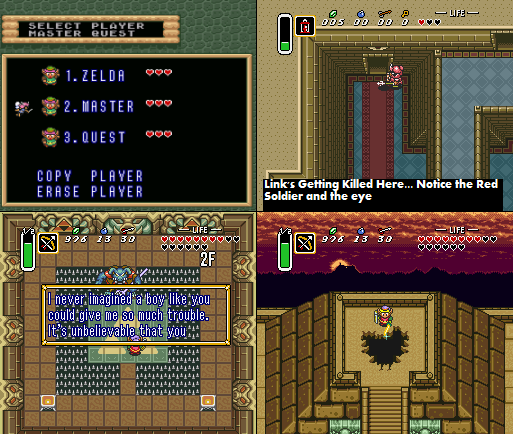 This is the ALttP romhack that does its best to troll you, give you little mercy, and quick time reactions. Here's some screenshots of it to show what you're getting into if you play this insane hack. 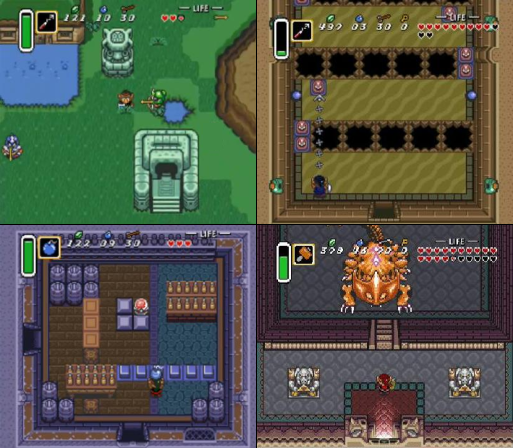 Information: All dungeons are rearranged with tougher enemies, just like the Master Quest version of Ocarina of Time. Information: The dungeons are now harder. Bosses are also harder.